Below is just a snippet of October’s newsletter. If you subscribe or go to my website you will have access to the astrology section, monthly raffle and a variety of other goodies! Happy October all! We are now officially heading into Autumn and Winter. The nights draw closer, days seem shorter, and our focus is on harvesting all that we have worked so hard on this year. I love this time of year! We celebrate Halloween, or Samhain, which is the Pagan New Year this month. We also turn the clocks back one hour around this time too. UK’s Daylight Savings is on October 30th, the US’s is November 16th and October 2nd for Australia. Astrologically we sould be able to get a lot accomplished with Mars being in the productive sign of Capricorn all month. Venus will be in scorpio for the first half of this month, which can help us to focus on any projects that require some intense research or the healing of deep emotions. We also have a lot of social energy around this month too, now that expansive Jupiter has entered relationship sign Libra for the coming year. Let’s see what tricks and treats I have for you this month! I have our favourite Samhain New Year reading and the Trick or Treat reading. The Afterlife Communication reading is a good way to connect with our ancestors as the veil lifts this month. All of these can be found in the Monthly Specials section this month, along with a few other inspirational readings to help bring balance into your life, such as the Spiritual Journey and the Fool’s Journey readings for those who are looking to start off in a new direction. So be sure to stop by and have a look at the September specials! You can have a browse through the many specialized readings I offer on the Tarot Readingspage. Tarot’s Life Path & Personal Growth section is a good place to start! Or take a wander through the various Oracle readings on my site, like Rune, Angel, Faery and Animal Totem readings. All of these categories can be found on the main Reading Room page. Don’t forget to check out the other areas on the Readings page, like the Oracles, Rune and Animal Medicine Cards sections. For many getting ready to start some early Yuletide shopping, have a browse through my Faery Trinkets shop, where I will have my Barefoot Sandals, bracelets, earrings, necklaces and crochet items on display for sale. I’ll be adding some crocheted items as well soon, and you can also find these items in my Etsy shop. Happy Sunday everyone! Can’t believe this will be the last week of September and the start of October. Personally, I like October because it brings Samhain and all the trees are changing into vibrant colours. However, I don’t like that it brings us closer to the colder and darker winter months. Today we have the Moon in Leo and a conjunction between the sun and Jupiter. Both of these transits bring optimistic energies and self confidence to tap into, but the Sun/Jupiter conjunction is considered to be one of the most optimistic combos in astrology. So use today to do something nice for yourself. Its a lucky combo too so you may want to splurge on a lottery ticket for the coming week. This coming week brings energies that support relationships, art and luxury, so let’s take a look at how things will pan out. On Monday, burn your bridges Pluto ends its retrograde cycle, which started back in April. Make sure you pay attention to any obsessive thoughts and hidden emotions now because Pluto can help us to deal with these. Pluto’s forward movement brings our suppressed desires to the surface once more, permitting us to see our innermost secrets in the light of day. We get to see where we can now make changes, having released whatever may have been holding us back, or at least being able to see what those issues were. This transit can bring potential for change through some extreme situations now both inward and in the world around us as Pluto starts to shift forward. On Tuesday the Moon starts off Void of Course and then move into practical Virgo in the evening. A Virgo Moon is where people tend to become more rational and practical. Its the small details that seem to be more important to us now, in some cases more than they are in reality, which can lead to arguments over what seems like insignificant little things. We do become more disciplined and responsible, careful and diligent, but only with those small details. Its not a good time for making any large, risky or important decisions now because we tend to not be tapped into our intuition enough to foresee what the consequences of the future will be. We also have a more noticeable shift taking place with Mars moving into Capricorn, where it will remain until the start of November. Mars helps us to get things moving where our ambitions are concerned, and Capricorn will help us build them on stronger foundations so that they last. So now is the time to direct our energies into creating these solid foundations. Wednesday and Thursday are rather quiet for us, with a Void of Course Moon happening late Thursday morning. However, Friday sees the Moon moving into balancing Libra for the weekend, where we will have the second New Moon for this month. Right now we have the cardinal, or action oriented signs (Capricorn, Aries and Libra) at their strongest. We also have strong elements of air and earth, which can help us to bring our ideas down into reality. So it will be a very positive New Moon. Saturday is when the Moon hits its New lunation in the wee hours of the morning. We also have do it big Jupiter in play for part of this New Moon, so we can pluck up the courage and ask more of ourselves that we might normally do. Tell the Universe what you want and don’t be shy about it. Be willing to take a risk on yourself and manifest what you desire. We have a trine going on between Venus and Neptune today as well, making this a creative and romantic day where we feel a sense of oneness with nature. This can be great socially and intimately because things tend to run more smoothly as well as adding a touch of magic to the pot. It’s important however to be very clear about what we truly want! Sunday starts out with an early morning Void of Course Moon that will shift into brooding Scorpio in the later part of the evening, setting the tone for the first couple of days of the work week. Scorpio is where emotional charge and sensitivity increases. Its a time where we need to be careful not to get swept away by irritability, mood-swings, hysteria, big and small excitements, and a sudden desire to quickly change everything. People tend to become more conscious of self and others, and see everything in dark tones with the Moon in Scorpio. So use Sunday as a kind of rest day, taking time for yourself if needed. Happy Sunday everyone! we’ve had a nice surprise with an Indian summer spell this week. I hope many of you got the chance to enjoy it. Today we are still under the influence of an Aries Moon, which makes it a good day for being active. However, the Moon will be hitting a Void of Course in the afternoon, which brings a reclusive kind of energy. so if you have things that need doing today, do it early. when the Moon is disconnected from the planets during these brief stages, it’s a good time to finish up any old business or mundane tasks. We also have a sextile going on between Venus and Mars today, bringing an opportune time to take a more balanced approach to any conflicts, problems, and goals that require a lot of effort. Having a good balance between a gentle approach and firm action will help quite a bit. It does make a good time for hashing out negotiations and issues because, even though some communication may feel aggressive and determined, it will be tempered with sensitivity and fairness. Now, lets see what the rest of this week has in store for us. Monday brings us a practical Taurus Moon, which means the start of our work week will be task oriented towards goals that are tangible. When the Moon moves into Taurus, we feel the tension of the past few days start to drop away. People tend to become calmer and peaceful. We feel secure and stable. There is also this tendency for our thoughts and reactions to slow down, making us feel a bit slow in getting ourselves going. This is the best time for taking care of the home, running errands, restocking supplies and tending to routine maintenance. Its best to hold off on important business now,as well as signing of contracts or important papers, because we may make mistakes due to a slowed down reaction and thinking process. Tuesday brings a harmonious trine between talkative Mercury and deep Pluto, where we seem to know just how to get to the heart of things. It’s a great time for mental activities which involve research, concentration and investigation. It’s also a good energy for focusing on ideas that require stages of development to be planned out. This is also a time when one can experience a breakthrough if they have been trying to understand the dynamics and deeper motivations going on in their lives. It’s like having that sudden light bulb moment that sheds light on the dark corner where those answers where hiding away. We also have the chance to shed and leave behind all of those outworn perception and forms of communication that have been ineffective for us up till now. During this transit it may be a good idea to write down our thoughts and ideas so that we can review them again once this transit has slipped by. On Wednesday the Moon will be Void of Course in the small hours of the morning, before moving into Gemini just a couple of hours later. When the Moon is in Gemini we become active, feel stronger emotional sensitivity and a need for socializing. We also have the tendency to fall under influences that can lead to the danger of getting of course and making mistakes. We tend to buy things that we don’t really need, waste time with contacts that are futile, and visit unnecessary places and events. Emotions may become amplified but shallow. We may easily meet new people now, however half of the contacts we make will later turn out to be empty. Some of us will try to do everything all at once, which later leaves us stuck with unfinished projects and ideas. 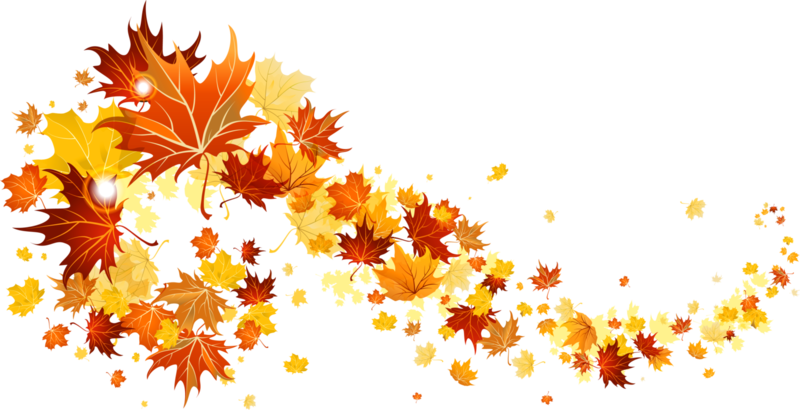 Thursday is the Autumn Equinox/Mabon and the day the Sun moves into Libra. We have a strong air element happening now for the next 3 months, which means a lot of talk and ideas. The problem here is that we have no fixed “follow through” sign to help manifest some of these things. A Libra Sun affects us all and is a transit that fosters optimism, confidence, vision, and leadership. Our self confidence and self awareness become activated today and we feel our enthusiasm drawing us towards something positive. This is a really great time for focusing on new directions that will expand our horizons, especially where self improvement goals are concerned. This is also the day when Mercury’s retrograde cycle finally comes to an end. Projects should now start to pick up speed, so its a good time to start putting things in order. For up to a week before and after today, you may experience mental intensity, confusion, and miscommunication or changes in your outlook. These past few weeks have challenged you to rethink and rehash situations that may have required some fine-tuning or course corrections. Friday starts off with a Void of Course Moon that will then move into Cancer, where we have an instinctive need for peace and quiet after the restless energies of the Gemini Moon. Under Cancer’s influence people become more sensitive and go deeper into their inner world, which takes on more importance at this time than the outer world. A feeling of belonging and safety is what motivates us under this influence. The Moon feels right at home in the sign of Cancer, as it rules the sign. This Moon position has much healing potential. Although insular by nature, our feelings run deep, making it an ideal time to get in touch with what motivates us. We want roots; we crave a sense of intimate connection that will. Venus will also be shifting into Scorpio, where it will remain until October 18th. When the love planet dives into the steamy waters of Scorpio, getting to the bottom of emotional wounds, research projects and taking our relationships to a deeper level are all favoured. Lastly, we have a trine between Mercury and Pluto again (due to Mercury moving forward). So again, its a good time for mental activities which involve research, concentration and investigation. Saturday is a quiet one in the skies, but we still have the effects of the Cancer Moon in play, making it a good day to spend with loved one’s in tranquil settings. This changes Sunday morning when the Moon goes Void of Course, and then moves into heart opening Leo mid-afternoon. In Leo we feel more energetic and optimistic. We feel like we can do anything! We crave compliments and appreciation, and are generous with kind words to others. Its a cheery vibe that is great for socializing. We also have the Sun conjunct Jupiter today, a transit that fosters optimism, confidence, vision, and leadership. This is a really great day for focusing on new directions that will expand our horizons, especially where self improvement goals are concerned. Some may feel lucky today and be drawn to taking risks because our ability to identify opportunities is much stronger right now. But it may be best not to take those risk with gambling our resources right now. This is also a time when we feel we are part of something bigger, something greater than ourselves. For those who have a difficulty in embracing the positive in ourselves, we may find this transit a bit difficult as it stirs up any feelings of incompetence or short comings. We need to be careful that we don’t try to over compensate through arrogance, over confidence, blind faith, and taking risks with obvious poor prospects. The key here is to tap into your spirit, your inner truth of who you truly are. Release feelings of blame and embrace compassion as you assess yourself. Let your spirit shine brightly, but not so much that you end up blinding others, and yourself, with your own light. Happy Sunday everyone! We are entering the halfway point of this month already. I don’t know where the time has gone! Today is a quiet one in the skies for us, but we do have the energies of the Capricorn Moon in play. This means hard work and responsibilities for the start of our week so use today to relax or just plan out the week ahead. Let’s see what else is in store for us! Monday starts us off with a Void of Course Moon that will be shifting into Aquarius in the later part of the evening. When the Moon is in Aquarius it brings us feelings of openness with a sense of inner freedom. Our emotions become more alive and we feel we can express them more freely. What we can’t cope with are limitations being imposed upon us or pressure from others because our main focus is on our inner feelings of independence. We tend to have a sense of emotional coolness or detachment at the personal level, combined with an emphasis on idealism: such is the nature of the cycle we are now entering. We also have a square going on between Mercury and Mars, a transit that is characterized by hot debates, fiery speech and lots of arguments. We may experience this in forms of conflict or we may find these exchanges as challenging yet stimulating. We just need to remember to pace all of that mental energy. Tuesday brings an energy that makes us feel ready for something unique. We have the Sun conjunct Mercury retrograde for a start. Under this transit we enter a new beginning in the areas of communication, awareness, the exchanging of ideas, and the use of new information coming in. Our mental concentration may either take a dive into murky depths, or rise above the murkiness into a clear and more lucid awareness. Of course with Mercury retrograde we will end up returning to that retrograde fog that mercury brings now. adding to this is a square between the Sun and Mars. This transit tends to bring out a competitive “me first” mindset, even for those who are not normally like this. We may aggressively pursue our desires, or be faced with others being aggressive to get what they want. Tempers may flare when faced with resistance so it is important to find some constructive outlets to help relieve that stress. Wednesday – with the first two days of the week having so much aggressive and combative energy, the quietness of Wednesday will be a blessing! Its a good day to allow some extra time in our schedules to try something different or outside of our usual routine. Also try to keep your head down and away from any authority figures or angry people now. Now is not the time to force any issues. Thursday starts us off with that mystical Pisces Moon energy, which will be building up to Friday’s Full Moon. Let’s look at this Pisces Moon then. A Pisces Moon can bring about feelings of romance, heightened intuition, mystical and dreamy moods, and an interest in the unknown, religion and all that I magical. We tend to become softer, sentimental and more tender, speaking words of kindness and complimenting those we love. We also tend to have this deeper understanding of the hidden meaning of life, events and things, as well as more intimate perception of beauty, art, poetry and music. On a negative side it can be harder to deal with the harsher aspects of reality during these lunar days. We may escape with one more drink, or “check out” in front of the television. It’s easy to coast through the day, when you’re dreamy or “lost.” It helps to have some creative focus, in order not to flounder in the sign of the Fishes. Friday is our Full Moon and Lunar Eclipse. Lunar Eclipses tend to be more emotional and can bring hidden feelings to the surface. Full Moons are the best time for doing energy and spell work that is geared towards releasing something old or reaping the harvest of whatever seed you planted at the last New Moon. In Pisces, it makes the best times for magic work that involves the creative arts, dream work, increasing our intuitive awareness, and healing. This Full Moon brings a sensitive Pisces energy that is in opposition to the Sun in practical Virgo right now. And this can have us struggling between the heart and head. It can have us feeling overwhelmed by our own insecurities, our obligations, and our faith in ourselves when we feel our workload is a bit too much. A lot of this is down to us creating ridiculously high standards for ourselves. But this Full Moon also brings a chance for some spiritual breakthroughs and creative inspiration that will help overcome obstacles. Saturday brings the Moon into Aries, which means its a time for physical activity this weekend. Some may actually feel this shift more than others. An Aries Moon tends to bring conflict more than most times, with emotional tensions growing, people becoming short-tempered and impulsive. Some may show a readiness and fearlessness to act in an extreme situation. Even the sweetest tempered person can become a bit mean under this moon. However, it becomes easier to shake old problem and the weight of tiresome responsibility. We want to free ourselves from everything that bothers us and makes our lives feel uneasy. Just remember that Mercury is still retrograde until the 21st, so keep your plans a bit flexible for changing situations. We have a trine between Mars and Uranus today as well. The transits of Mars to planets and points in the natal chart are relatively brief influences, lasting approximately 2-3 days. Mars takes approx 2 years to travel 360 Degrees in the Zodiac and the twelve houses, and acts to energize and activate the conditions surrounding the planets and points it touches. This is a very high energy time, where our energy tends to come in spurts or in response to situations that don’t normally affect us very much. Venus will be in opposition to Uranus as well. Our interactions with others may be full of surprises under this transit. Sunday brings a sextile between Venus and Mars, which can be an opportune time to take a more balanced approach to any conflicts, problems, and goals that require a lot of effort. Having a good balance between a gentle approach and firm action will help quite a bit. It does make a good time for hashing out negotiations and issues because, even though some communication may feel aggressive and determined, it will be tempered with sensitivity and fairness. Happy Sunday everyone! Here we are at the first full week of September. We still have that social Libra Moon energy going on today but make it an easy day if you can, because the intensity will start to pick up as we move into the new week. Let’s see what’s going on! Monday starts off with a Void of Course Moon that will move into Scorpio in the afternoon. Now, its Labor Day in the USA, and a Scorpio Moon doesn’t really make a great energy for such a social holiday. But it is a good time for focusing on some projects. Its a time where we need to be careful not to get swept away by irritability, mood-swings, hysteria, big and small excitements, and a sudden desire to quickly change everything. People tend to become more conscious of self and others, and see everything in dark tones with the Moon in Scorpio. Tuesday is a quiet one but Wednesday brings us a trine between the Sun and Pluto. Whether you’re clearing out your closet or flushing out your brain, this transit is the time for getting rid of whatever has become unnecessary or outworn in our lives. And this can be anything from an unhealthy relationship to old and outworn beliefs that are holding you back. Or you just may need to chuck the rubbish out of your work space. We get to see what’s below the surface in order to see things very clearly so don’t be surprised if you discover, or re-discover, something lost, hidden, or forgotten during this process either. We also have the love and money planet, Venus in a happy little sextile with Saturn, which brings a gentle harmony to work with. Thursday brings a Sagittarius Moon in the morning, bringing some peace and stability. We tend to become a bit more orderly and calm, are ready to follow routines and rules and have a need for giving and receiving advice and recommendations. We may find a increase in our interests in social life and where we fit in. When the Moon is in Sagittarius our focus turns from inner soul searching to exploring the world around us. This lunar mood is very adventurous, active and restless for exploration. We want to experience life first hand. we want to get out doors, see the sights, connect with nature, go places we haven’t been before. It does, however, put us in a risk-taking mood. A need to be in motion makes us very restless if we get bogged down with mundane chores. It’s a good time for speaking our truth, saying it like it is, but we also need to be careful that our words don’t come out with blunt force. The best way to enjoy and us this lunar energy is to keep it light and upbeat. Friday brings Jupiter into balancing Libra, where it will be for a full year. Jupiter is the God of generosity and abundance, and when in Libra we get the chance to increase the harmony and beauty in our lives. Jupiter also rules our belief system though, so we need to be willing to open up our higher minds to greater possibilities, be willing to take a risk on ourselves to manifest our goals and reams, and have faith in ourselves. We have a bit of a mixed bag for the weekend that blends responsibility with play. Saturday starts with a Capricorn Moon, where our emotional charge seems to decrease as our feelings of duty and responsibility move to the fore. We tend to become more practical and logical, as well as more demanding and less sensitive to others and ourselves. We also have a square aspect between Saturn and Neptune. This is a transit where reality meets illusions, more so if we have something to hide. Even those who present themselves in the most transparent of ways may encounter situations that are difficult to comprehend and may involve misunderstandings or even deceptions. While this is a cycle that can cause difficulties, it can also bring an end to any wayward actions that have kept us from the truth. It’s a period that can bring us back in line and in balance. Look to those areas where you may be unable or unwilling to see things for what they truly are because situations are likely to emerge that can assist us in obtaining a clearer and more accurate picture. We also have a square between Venus and Pluto, where we may find that our relationships and interactions tend to be a bit deeper, more intense and transformative. Other things that are affected are our sense of beauty, and any dealings around finances and material resources. Mainly, this transit can shed light on those problem areas in our lives that need to go through a bit of a transformative process in order to heal. Sunday is a quiet day, which is probably good after the energies of Saturday.